Our company repairs all Allen products. While most music stores do not have a service department and use an outside service contractor, Allen Organ Studios has a complete service department with three factory certified, in-house technicians on staff and a complete parts inventory to service any of our instruments. Our new telephone service line is available 24 hours everyday to receive your service request. 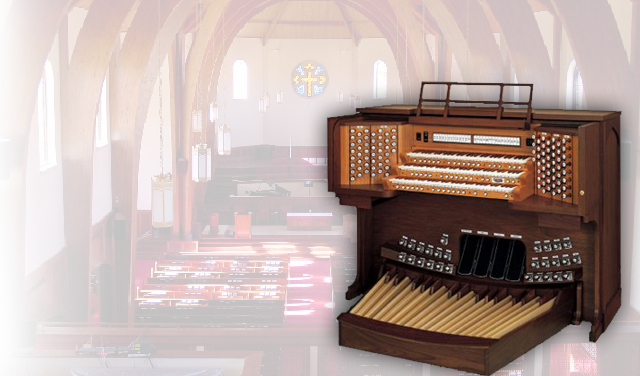 Select the service option from the main menu, give us the location of the organ, tell us what service you need AND give us a name and phone number to return your call. Our system notifies one of our technicians immediately and we return your call promptly. You may also email us. We respond promptly via email or phone if you provide us a number. Emergency service after normal business hours is available by calling our store phone. Select the service option and let us know you need emergency service. Give us a phone number where you can be reached immediately. We will make every effort to return your call within minutes.